Snickers Clothing have pulled a blinder with this upgrade to the very popular hoodie they used to produce, many people said why change something that sells so well, well they certainly got it right empower your attitude in this high-quality hoodie with adjustable drawstring in the hood. Count on three-thread fabric comfort and patented MultiPockets™ convenience. Patented MultiPockets™, two smart side pockets, perfect for a mobilephone or glasses. With inside Guided Wire System protecting your audio cables. Advanced design for a contemporary fit. 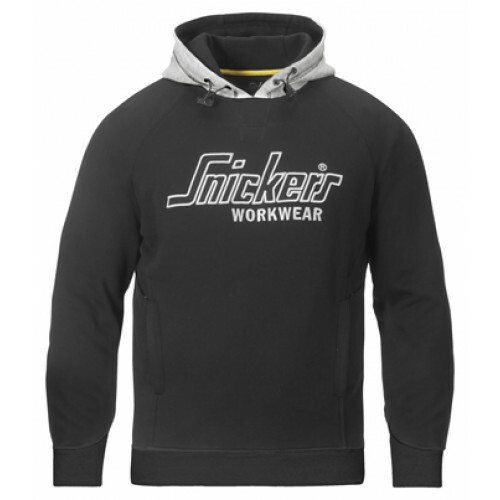 Materials used in the Snickers Hoodies Comfort, durable fabric in 80% Cotton 20% Polyester, 330 g/m². Garment washed.